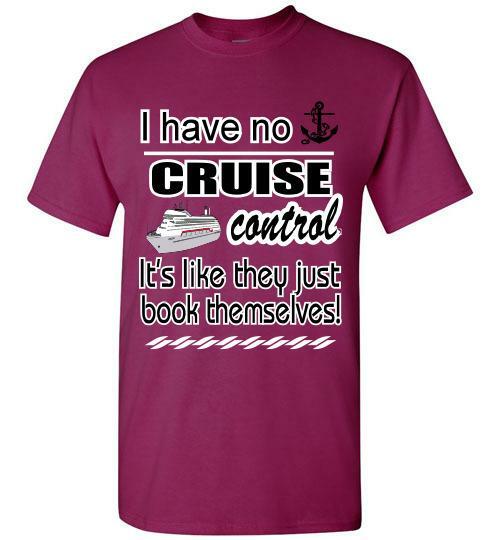 On a recent cruise to the Caribbean, I saw a couple of different people wearing a T-shirt with this message—I HAVE NO CRUISE CONTROL, IT’S LIKE THEY JUST BOOK THEMSELVES! Those who enjoy cruises and have been on several of them appreciate the humor behind that message. However, Christian life is not without self-control. We who are filled with the Holy Spirit of God have been given the ability to make choices that will set the direction of our lives to be in line with the word of God. Let’s be careful that we don’t drift aimlessly through life. This entry was posted in Christian Living, Humor, Leadership and tagged cruising, fruit of the Spirit, Galatians 5:22-23, illustration, purpose in life, self-control, T-shirt messages. Bookmark the permalink.